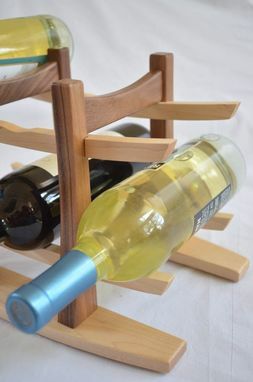 This graceful countertop wine rack is handmade from Walnut and Maple hardwoods. 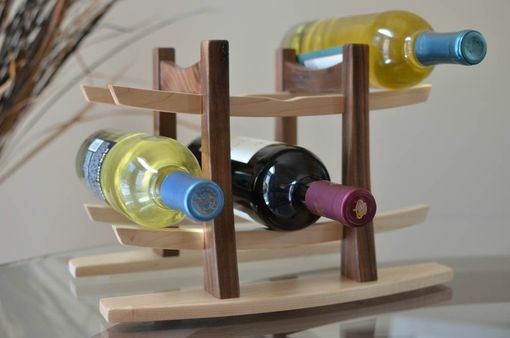 It holds 6 of your favorite wines close at hand, while giving your home a bit of asian inspired decor. 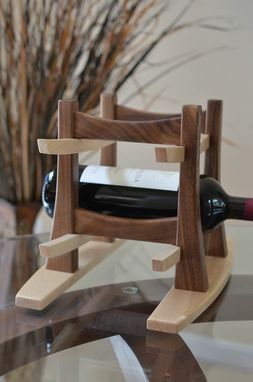 I first made this as a birthday gift for my uncle who is a wine lover and have since made a few more since they make such great gifts. 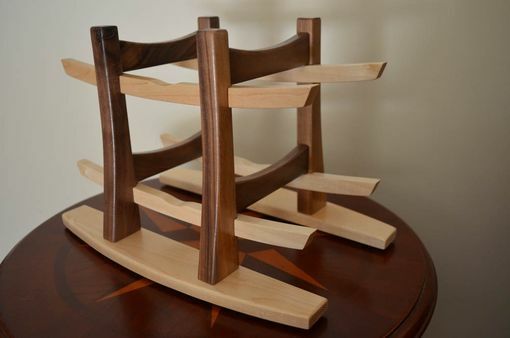 Has a semi gloss lacquer finish and rubber feet on the base. 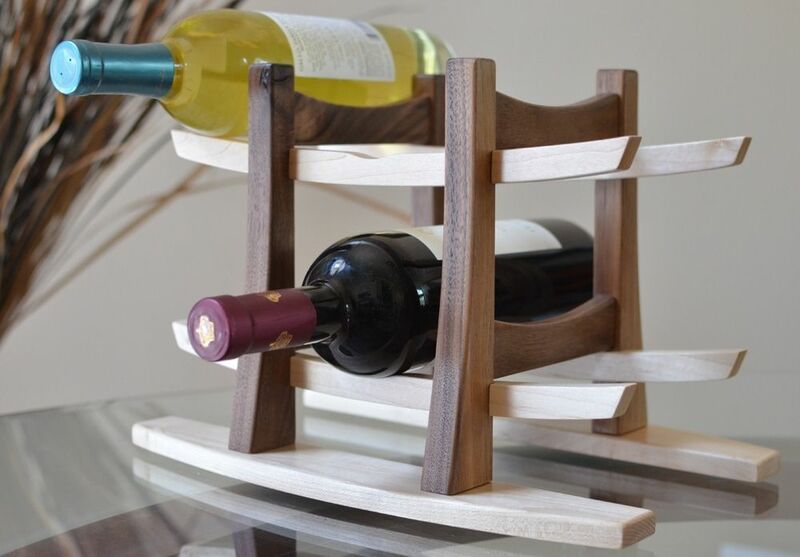 Holds six 750ml wine bottles comfortably.